Instead of applying exaggerating visuals to stand out, our team introduced a new concept of femininity to differentiate client’s beauty care services from its competitors. We used “A New Chapter Begins” as tagline to remind girls of exerting their beauty at the start of summer. Meanwhile, with her personality and background which matched with the brand, Sarah Song was invited to be the talent of our main visual design. 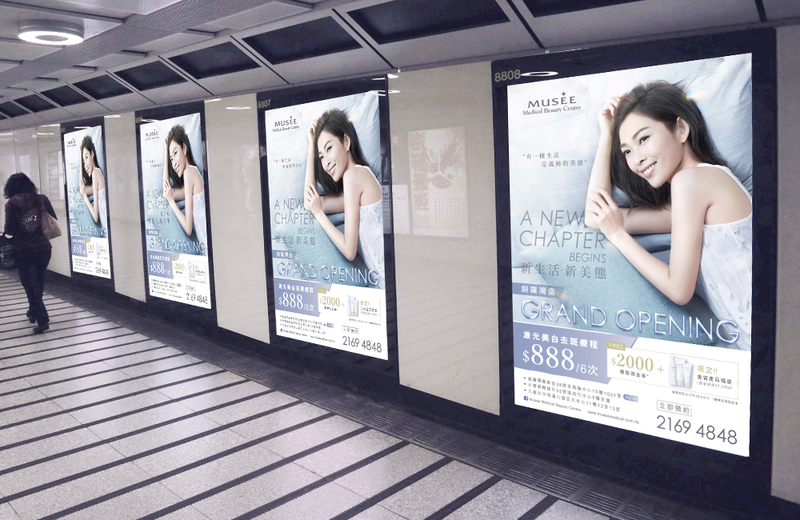 Pure, soothing look and feel were adopted to reinforce the light and clean brand image to the target audiences.